Any places out there known for a killer Chicken Fried Steak? Hey, no offense taken. After all, I haven't visited Memphis Championship BBQ since 2005, so I'm certainly no one to rely on for a recent opinion. Unfortunately, my go to BBQ spot, The Salt Lick, has closed. Although it might be of super gargantuan proportions, Hash House a Go Go might be a good place to find a CFS, as would the encyclopedic menu at The Peppermill. Thanks Steve. I saw that the Salt Lick closed. I forgot to mention it... I like my Chicken Fried Steak with peppery cream gravy (Texas/Oklahoma style), not with sausage in it. Based on some research, the overall answer to whether there is a killer CFS in the Vegas area is a no. The transplanted Texans online weren't impressed by anything out there. But if anyone else can think of a place that might, let me know. Ram4 wrote: Thanks Steve. I saw that the Salt Lick closed. No. I have never come across a "real" Texas CFS in Vegas, but I haven't looked that hard, either. If you turn one up, please let us know. I'm pretty sure, but not 100% sure that Tiffany's, which I mention in my post above, serves CFS. At least it's the kinda place that should serve CFS. Listen, this place might not be everyone's cup of tea, but if you have an appreciation for a certain glorious sleaze, you'll love this place. If you knew the old Humming Bird Grill in New Orleans, that's about as close of an example as I can think. I came across this series of posts. The poster has been posting frequently on life in Clark Co., Nevada and off-the-Strip Las Vegas. There are some great food pics. You can find better Japanese yaki and KBBQ than American BBQ. TonyC wrote: You can find better Japanese yaki and KBBQ than American BBQ. Incidentally, what do you like for KBBQ in Vegas? Normally I'd agree, but with so many transplants out there and Vegas booming as a food destination, I figured looking for anything is not out of the question. For all I know there could suddenly be one of the best BBQ joints in the country there. There probably isn't, but it could happen tomorrow. I noticed there are quite a few Hawaiian BBQ joints out there too. Dmnkly wrote: Incidentally, what do you like for KBBQ in Vegas? * not that I eat at 4AM these days. ** not that I go "clubbing" at XS. Okay, now I'm confused... are the LA/OC/LV Honey Pigs at all affiliated with the DC/VA/MD Honey Pigs? Or did mini-chains of Honey Pigs spontaneously sprout up on opposite coasts at about the same time? The DC/VA/MD opened in 2008, and the first Yelp review for the K-town Honey Pig is also in 2008, but I can only find a website for DC/VA/MD. Ah... I was looking at the wrong location. Weird coincidence or knockoff, I guess. Heading to Vegas in a few weeks with plans to hit LoS (always a highlight), Garduno's (guilty pleasure, I love New Mexican food), and the Wicked Spoon (yes, I know, a buffet, I need to turn in my foodie credentials). I have a car, so I can easily travel to get somewhere, and really don't want to go upscale. Aside from that, any type of ethnic is good, and I am very flexible. I have looked through the multiple Vegas threads, and was just hoping for some more current data points. I was in Vegas for a week last month and one place I tried that was a real pleasant surprise was Grimaldi's the pizza joint out of Brooklyn. They have a few locations in the Vegas area. I have never been to New York, so I don't know how close it was to the original, but I thought it was excellent and I ended up there twice. If you like Coalfire, it's that style. I also couldn't resist a perfect evening at Mon Ami Gabi celebrating my girlfriend's birthday in front of the Bellagio fountains. I actually had never been to Mon Ami Gabi here before. I didn't care for the burger at Holstein's at the Cosmo, on the expensive side, oversalted and overcooked. Of course I had In-N-Out Burger twice for my cheap thrill. My one buffet of the trip was wasted at the Green Valley Ranch. It was decent and a great price, but nothing special. We also had the 3 course Power Lunch at the Palm at Caesar's that was great too and we had leftovers which if you don't have a fridge in your room is a waste (but we had one, so it worked out). Wicked Spoon is a unique tapas style buffet and I heard good things about it, so check it out. I'm not an ethnic foodie at all, so I can't help you on any of those ideas (as you can see!). 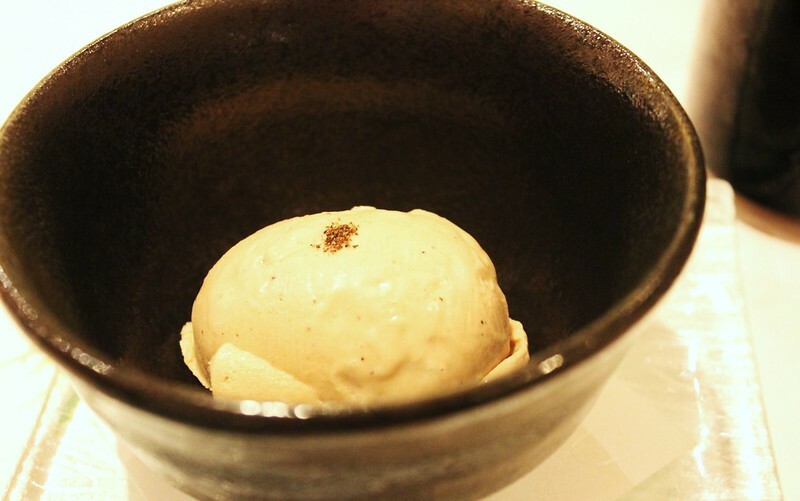 If you're headed to Raku, and you also want to grab dessert, why not try the fancy, new Raku Sweets. Here's the 411. I challenge anyone to find better dining in a strip mall anywhere in the US - Kabuto, Monta, Raku and Raku Sweets. You can eat quite well both on and off the Strip, or so I think I proved on most recent visit to Las Vegas. But before I ate anything near the strip, I pretty much transported myself right back to Japan for another vacation. 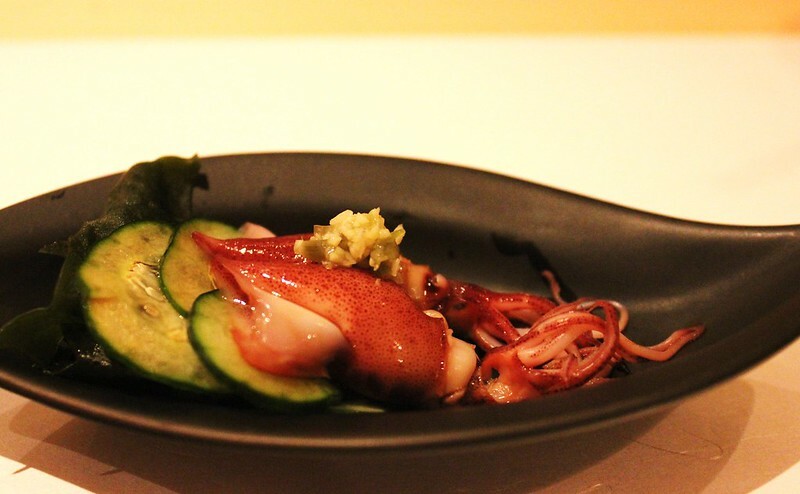 My eating extravaganza began merely hours after my arrival when I dined solo at Raku. Though I always choose Raku for the stunning robata grilled items and sashimi, it would be a mistake to ignore the house-made tofu. 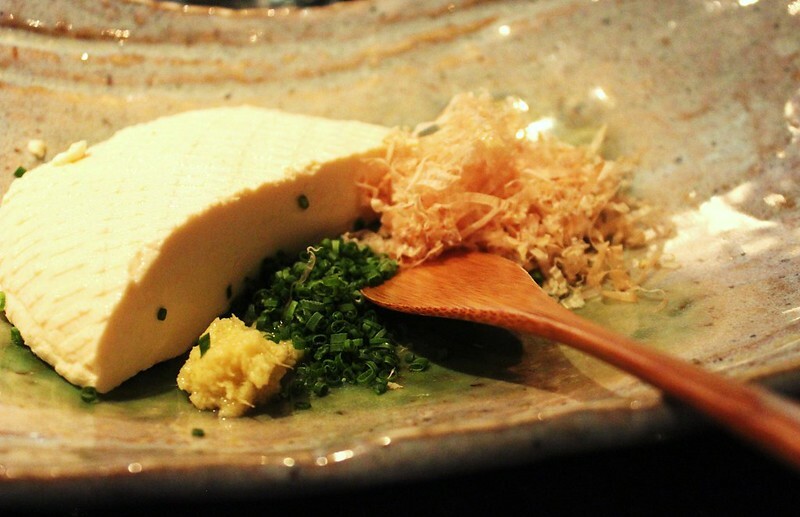 Yes, the tofu is terrific, but don't underestimate the importance of the high quality bonito flakes Raku uses. It's really amazing how much flavor this seemingly simple dish delivers. 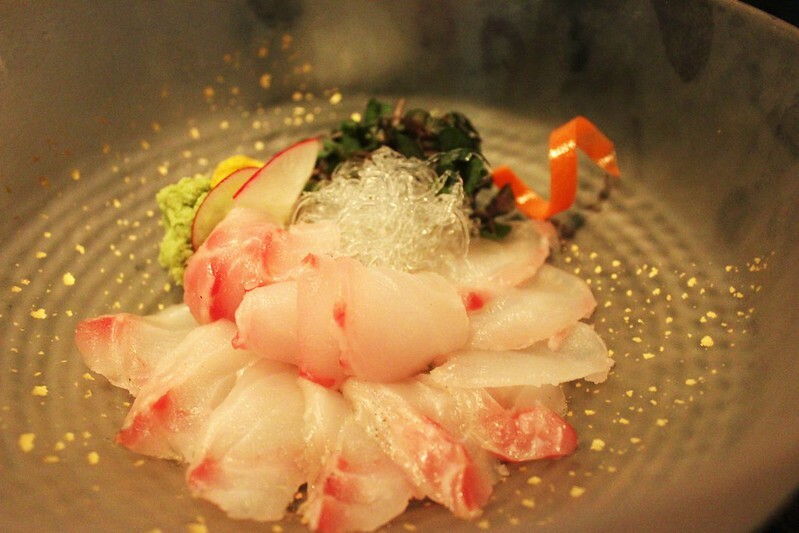 Raku always offers a number of sashimi offerings which change frequently and are displayed in handwriting on a small board in the restaurant, and vary constantly depending upon which fish are in season. And so I should not have been surprised when my server at Raku pushed the menuke (rockfish) sashimi, explaining that it was at its seasonal peak and was not to be missed. He was right. Just as good was another daily special of firefly squid. It's remarkable how much flavor these gems deliver as they burst at first chew. When available, I will always choose them over any other squid offering, particularly since they're only in season a few months a year. There's really nothing like them. Knowing that I would be finishing the evening with dessert at Raku Sweets, I sampled only two of Raku's fantastic robata grilled items. The Iberico pork shoulder delivered as great flavor as one would expect from this luscious pig, with just enough fat and char to leave me debating whether a second skewer was appropriate. Equally delicious was the Kobe outer skirt steak with slivered garlic. 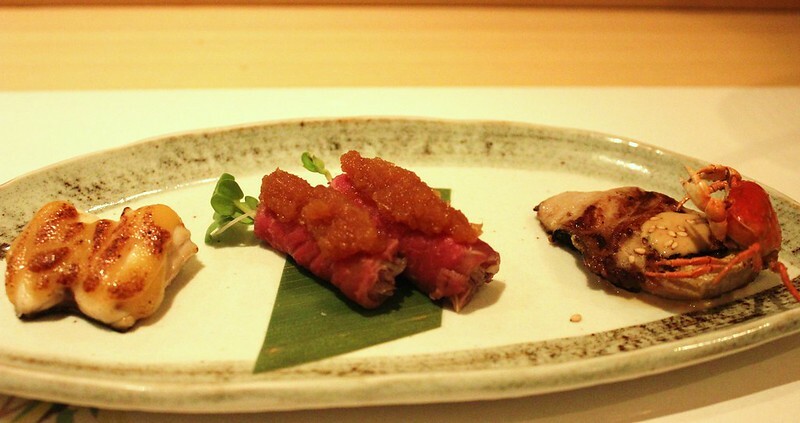 If you wanted, you could easily make a meal at Raku from their grilled items or sashimi, but I think the ideal combination involves tofu, sashimi and robata grilled items. 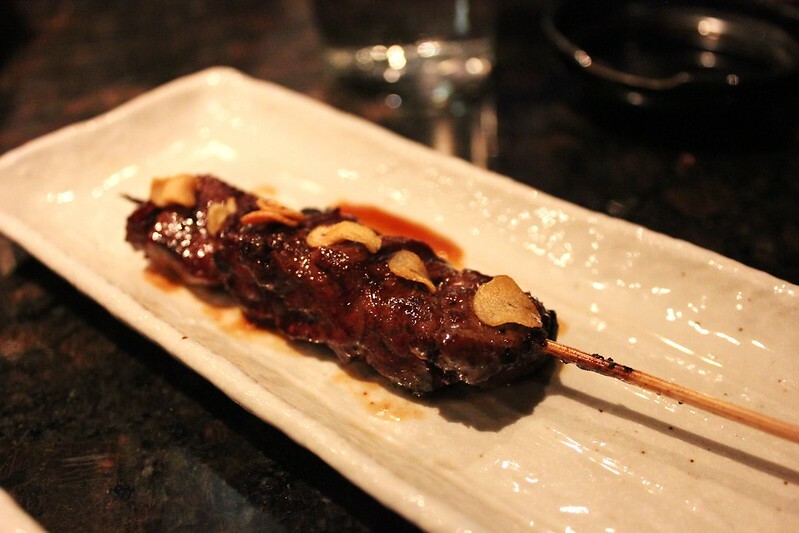 With nothing quite like Raku in Chicago, you'll be wowed. So score one for Vegas - as much as I love Katsu, I just think that Raku is operating at a higher level. Or so it all seemed routine. 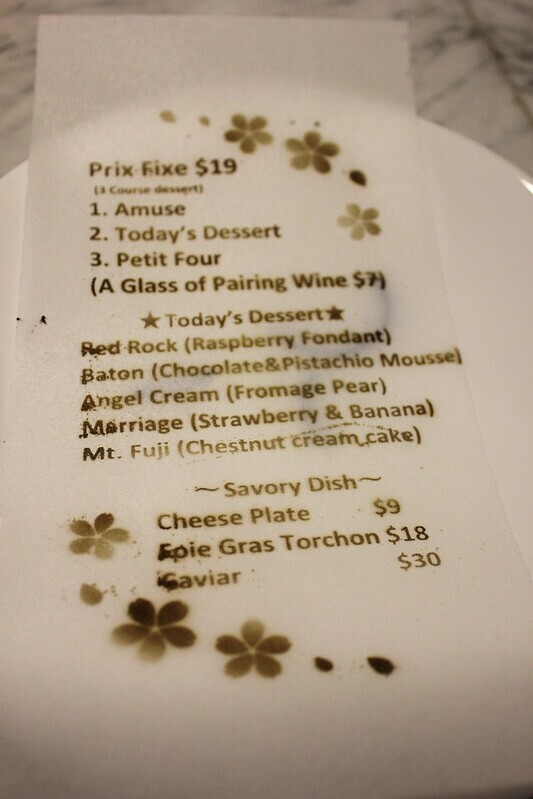 In fact, in Willy Wonka style, the menu was edible, with raspberry sauce for dipping. 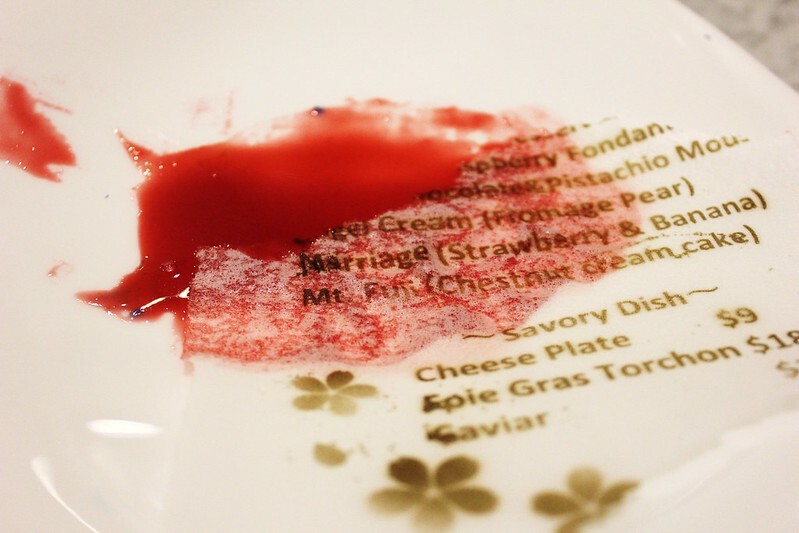 Unfortunately, the menu tasted similar to a plain ice cream cone, so repeatedly dipping menu pieces in the raspberry sauce eventually lost its charm. 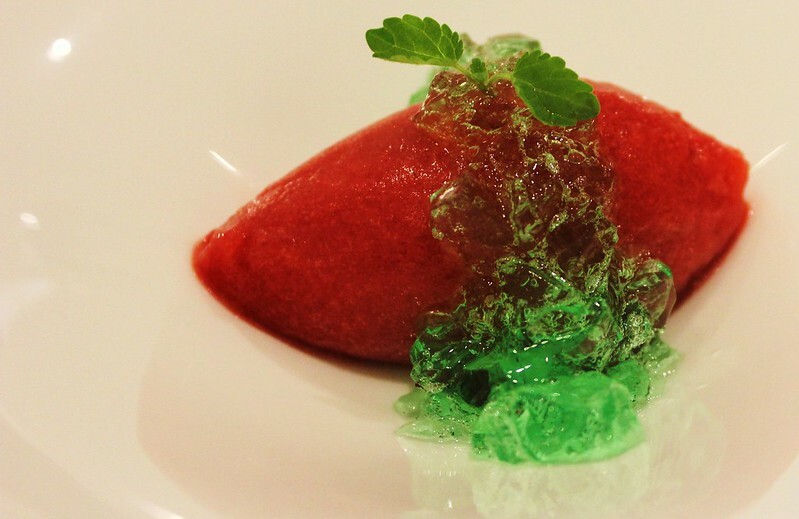 The real first course was a vibrant and smooth strawberry sorbet, served with a green tea jelly. The subtle green tea flavor might have been just a little bit lost, but the strawberry sorbet was truly excellent. 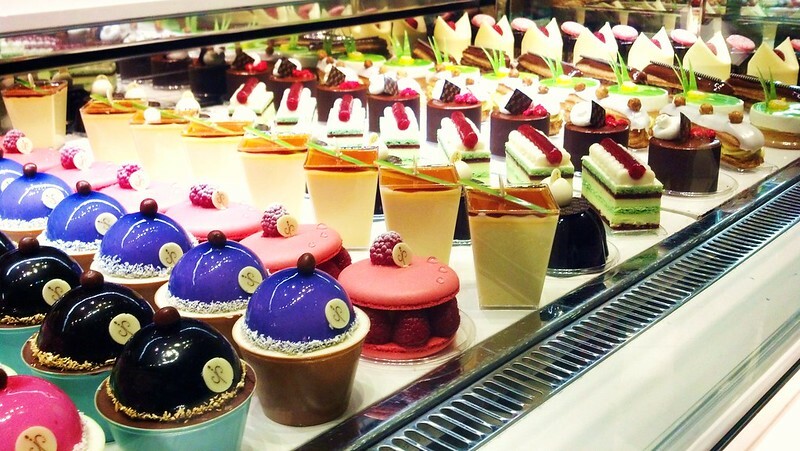 The primary decision to be made at Raku Sweets is which of the five desserts to choose for your main dessert. 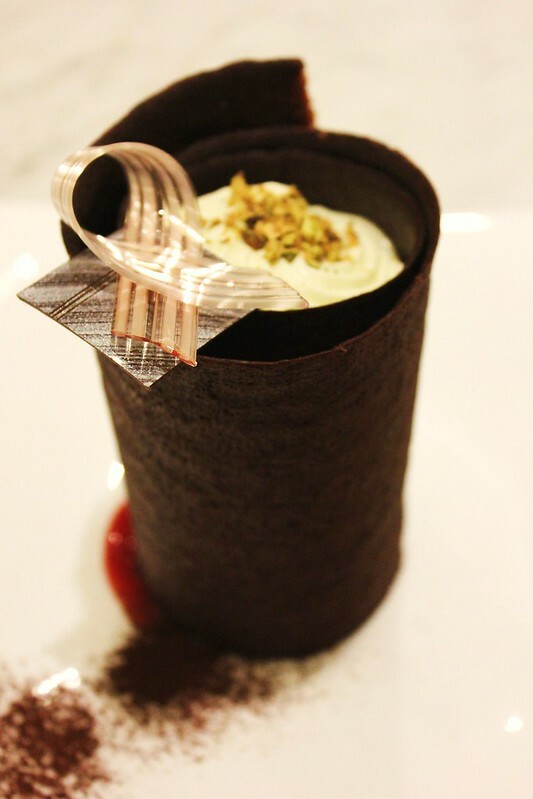 At the suggestion of my waitress, I ordered the baton - a thin chocolate tuile cylinder filled with a chocolate and a pistachio mousse, garnished with chopped pistachios and resting atop a spoonful of raspberry sauce. But the mousses were too light, too fluffy, as if their volumes were obtained largely by beaten egg whites, and the pistachio flavor was unrecognizable. Though pretty to look at, there was little about this dessert that appealed to me. 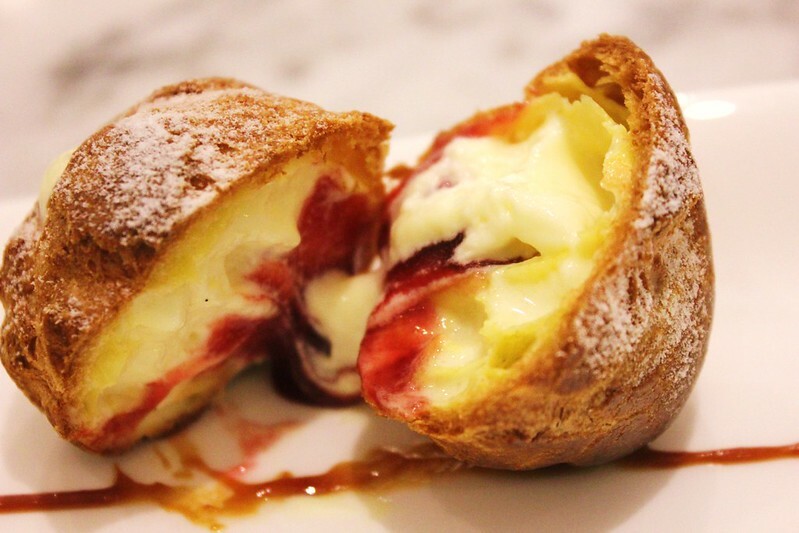 Dessert concluded with a cream puff, filled with custard and your fruit filling of choice. I chose strawberry, and the custard and strawberry filling was terrific. But the dish was slightly marred by the overbaked, slightly too crisp, cream puff. There were certainly positives at Raku Sweets, but I ultimately felt let down. No doubt expectations were certainly high given the Raku name. 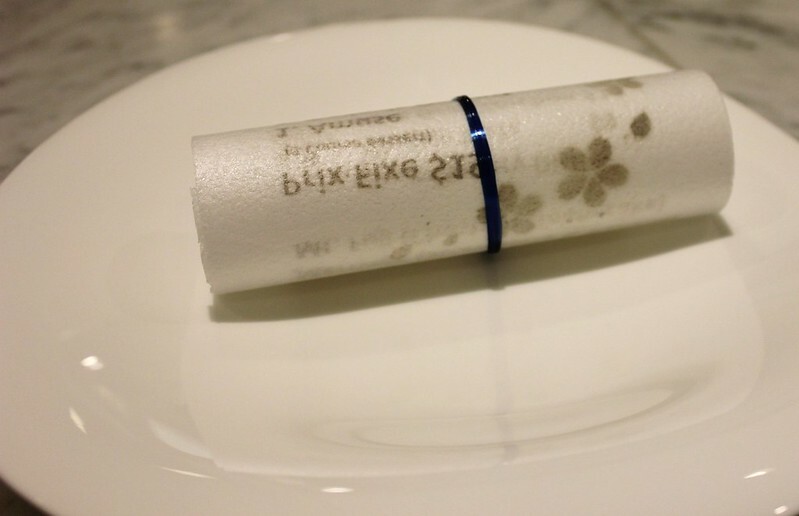 But given the minimal investment required for the 3-course dessert tasting menu, there would certainly be little risk in giving Raku Sweets a try. Avoid the same chocolate dessert I had and maybe you'll leave happier. 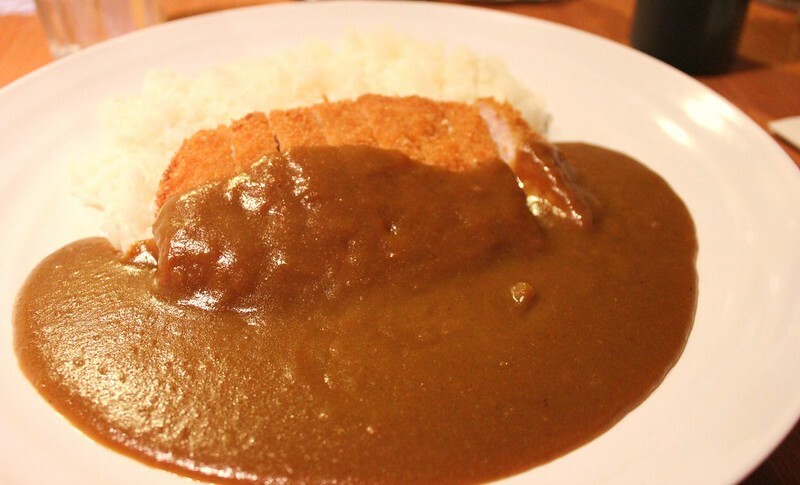 As long as I'm on the Japanese theme, let's talk Japanese curry, Japanese Curry Zen to be precise. I could complain about the pork katsu. It was very lean and not all that flavorful. But at least the pork was beautifully fried, served hot and crisp. But the real star here was the magnificently rich, thick curry. I was lucky to have sampled some curry on my most recent visit to Japan, and the version served at Japanese Curry Zen was every bit as rich and satisfying. The curry is served with a slightly tart tonkatsu sauce and some pickled vegetables to cut the richness of the dish. Since you can escape here spending under $10, you'd be a fool to not visit. Hell, it's in the same strip mall as Kabuto, Raku and Monta - have a taste while you're there. You won't regret it. I wasn't even close to done sampling Vegas' Japanese offerings. 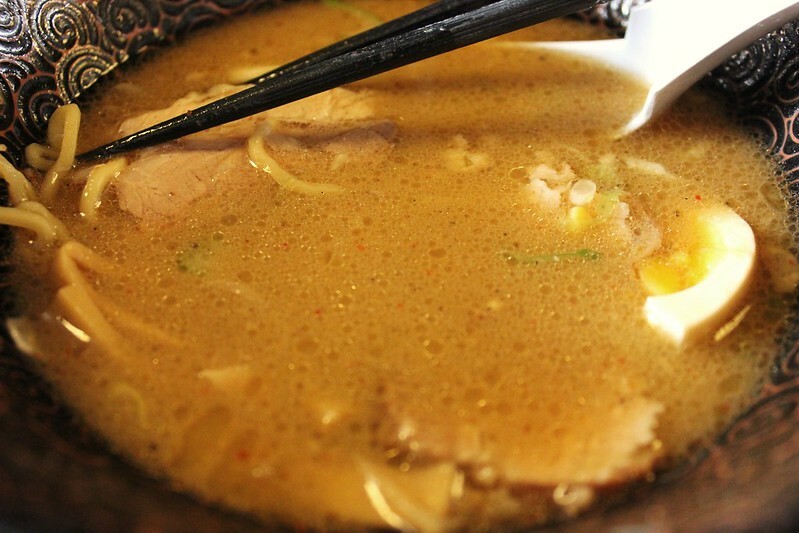 We've all dug deep into bowls of artery clogging ramen at Monta. 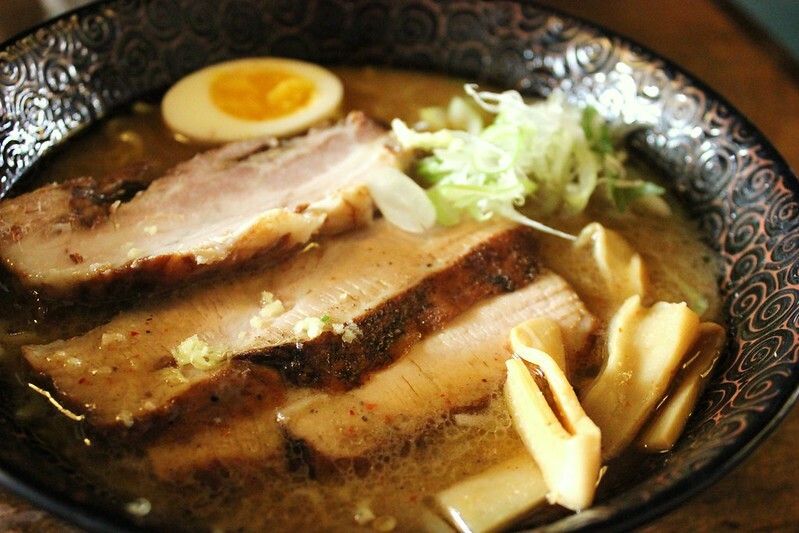 But there's a ramen explosion in Vegas -- even Ramen Misoya is opening up a location there to be part of the action. And I was lucky enough to try one of the most acclaimed spots, Ramen Sora, which specializes in Sapporo Ramen. 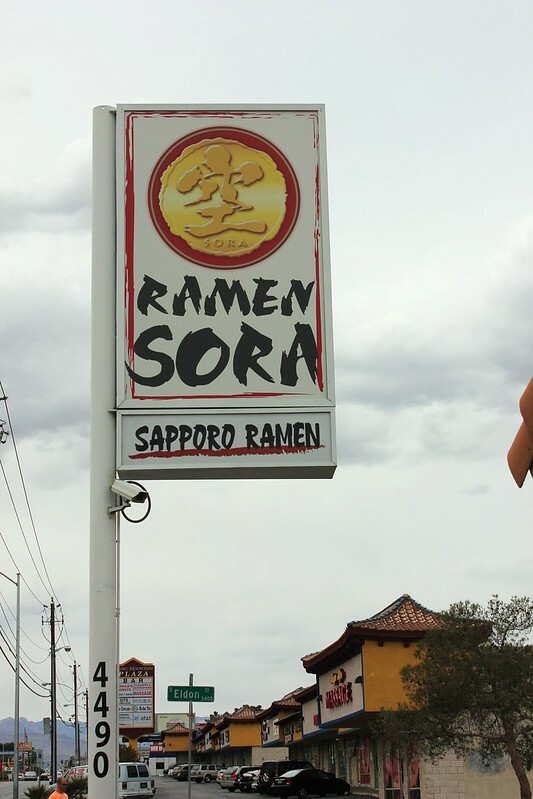 Apparently, Ramen Sora's Vegas location is the only US location of Sapporo, Japan's own Ramen Sora. The broth was rich and full of flavor. Perhaps not as thick and rich as Monta's, but outstanding nonetheless. The chashu pork was rich and fatty, yet tender and melting. But the thick, chewy ramen noodles were the real star of the dish. I love thicker ramen noodles and these were just right. They're the kind that demand to be slurped immediately and quickly to maintain the perfect texture. But one bit of advice: order the small bowl. One can only slurp so much liquid pig. Ultimately, I can't tell you whether I personally prefer Monta or Sora, but the beautiful thing about vacationing in Vegas is you don't need me to decide for you. Try them both. Nope, still not finished exploring Japanese food in Vegas. Before picking up a friend at the airport, I had a late lunch at I-Naba. 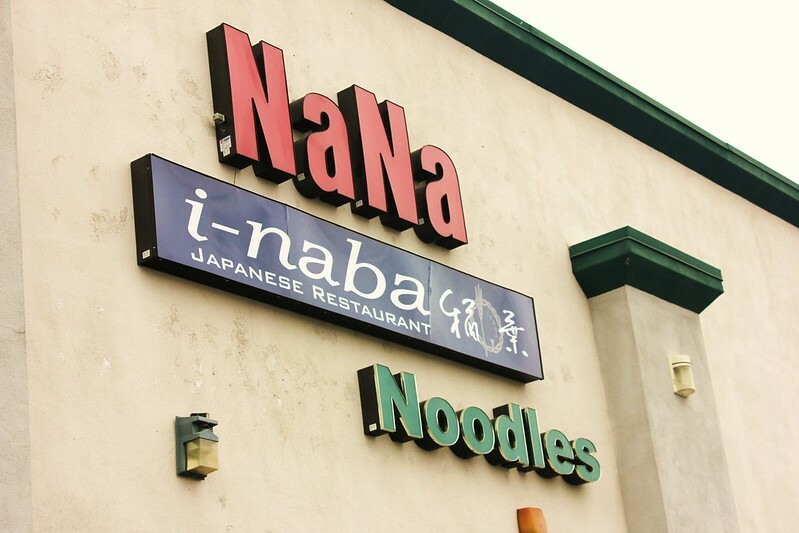 I-Naba apparently has at least two other locations, one in Honolulu and another in Torrance, California. I ordered the ten zaru soba and it was magnificent. I prefer my soba cold so as not to ruin the texture of the noodles, and I-Naba's soba was fantastic. 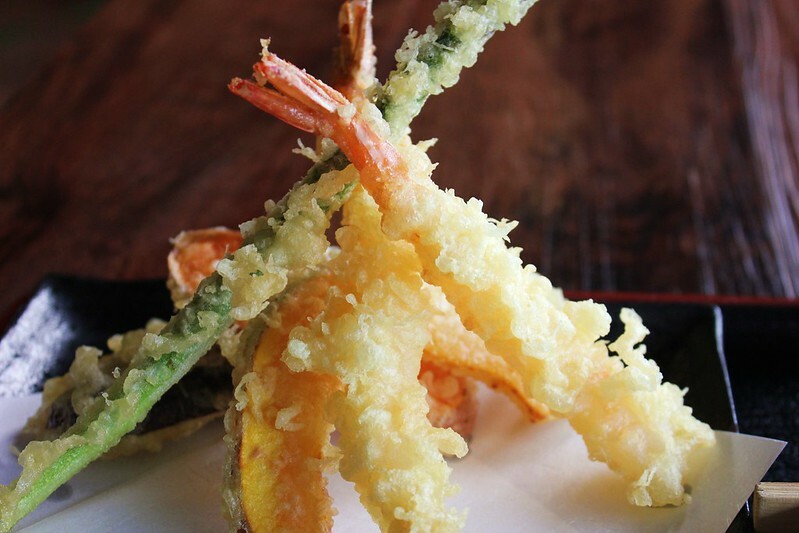 So was the accompanying shrimp and vegetable tempura, with its crisp yet delicate batter and minimal grease. 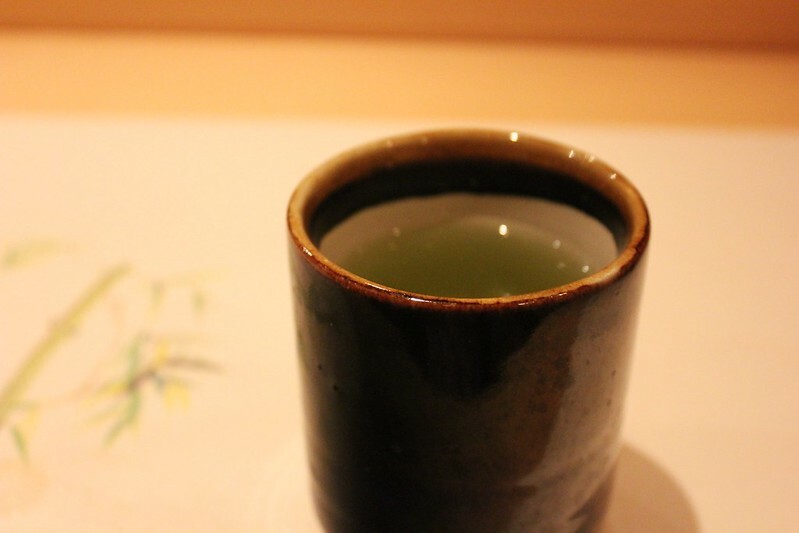 Just as was the case with my outstanding tempura meal in Kyoto, it was suggested that I alternate between the tempura dipping sauce and the accompanying green tea and curry salts, which were delicious. 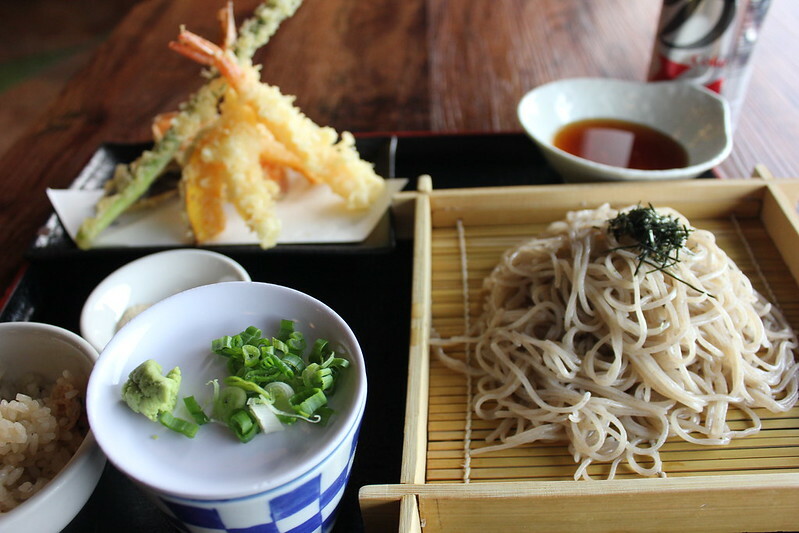 I could eat soba every day. 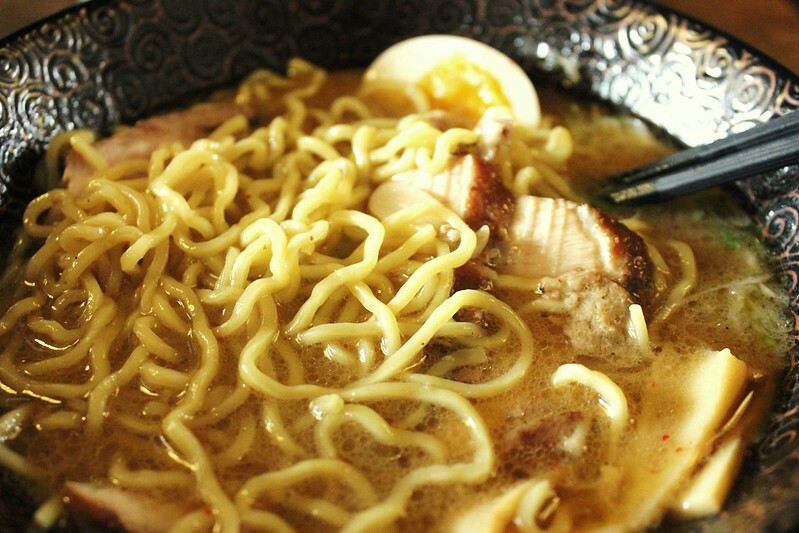 I might even prefer its elegant simplicity to the in-your-face flavors of ramen. 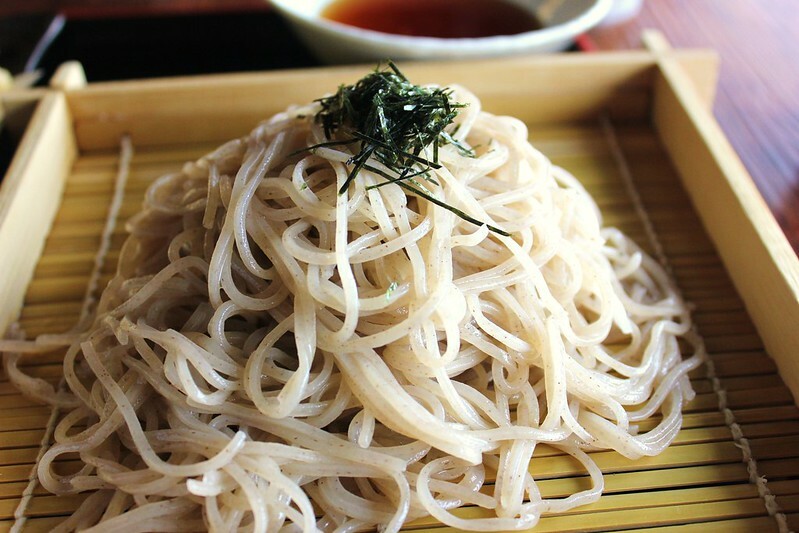 But I've yet to find a place in Chicago that turns out respectable soba. I've tried a few, and left mildly disappointed each time. That's just one of the reasons I would urge you to visit I-Naba in Vegas (or perhaps Torrance, CA or Honolulu). Add it to the list of places that won't break the bank. I should note that all of the places I mention in this post are withing 5 minutes of one another by car. But one warning if you visit the Las Vegas location of I-Naba. It's in a strip mall, but it's sign and entrance cannot be seen from the street. So arrive with patience and gps. I'll document the rest of my recent Vegas trip in a separate post. There's a lot more, including my favorite meal of the trip (Kabuto), wonderful dinners at Bartolotta di Mare and Carnevino, xiao long bao and a lot more. On my continuing quest to find great xiao long bao, I checked out 1900 Asian Cuisine. It's located in one of the countless strip malls on Spring Mountain Road. We visited late Sunday morning and mostly confined our order to the limited dim sum-type options. 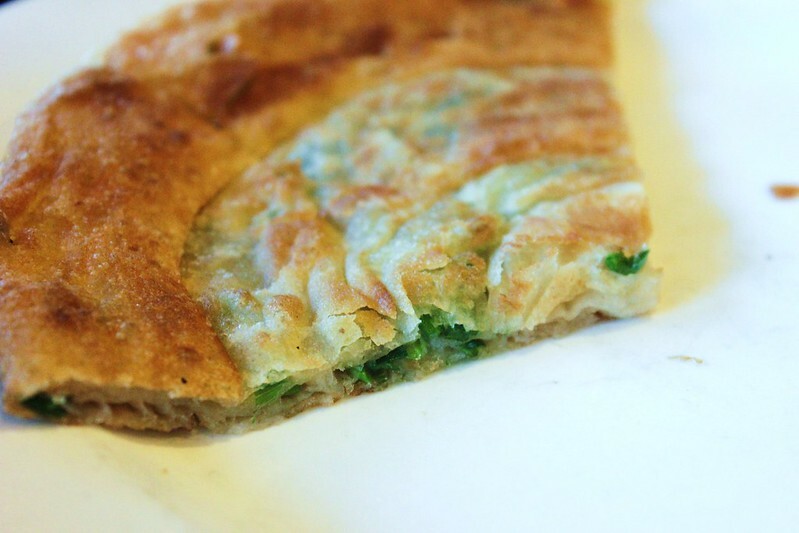 The scallion pancake proved to be a respectable version, slightly crisp, flaky and plenty of scallions. Our favorite item was undoubtedly the beef roll pie. 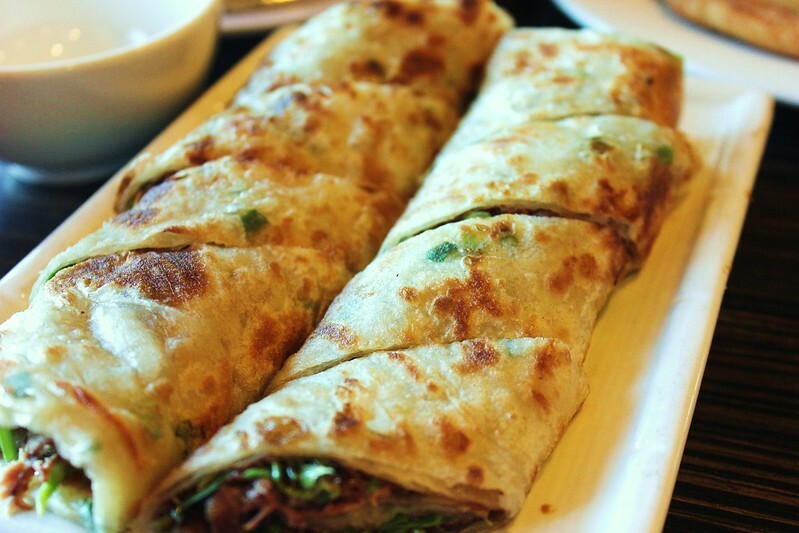 Similar in texture to the scallion pancake, it was rolled and filled with beef, cilantro and hoisin. 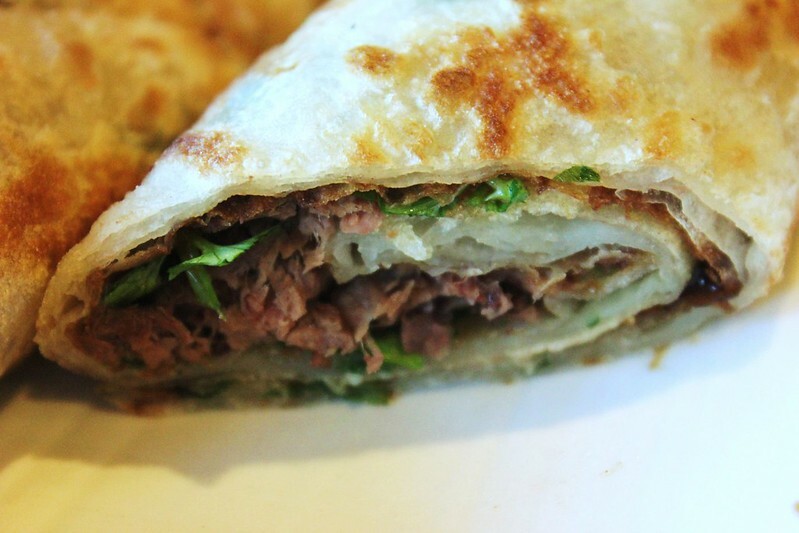 It reminded me very much of what I had enjoyed at Nan Xiang in Queens, and was excellent though perhaps just a smidgen heavy on the hoisin for my tastes. Our least favorite item was the potstickers. They were really greasy all over, slightly undercooked exteriors and had a really bland filling. 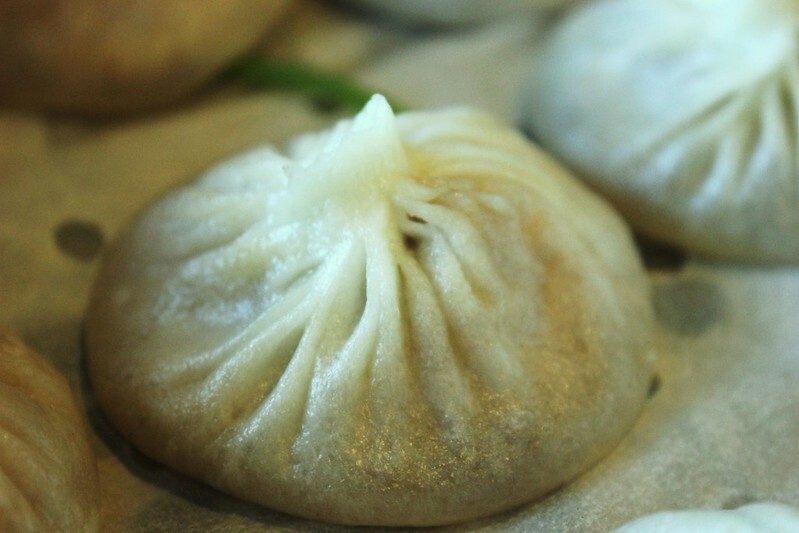 Then came the main item, xiao long bao. We had an order of just pork and an order of pork and crab. The dumplings themselves were beautiful - probably as thin wrappers as I've ever experienced. And they were loaded with soup. But that was the end my joy. I found the soup and filling to be rather bland, and with almost no fat to tickle the tongue. And you really couldn't distinguish between the pork and the pork and crab when it came to flavor. 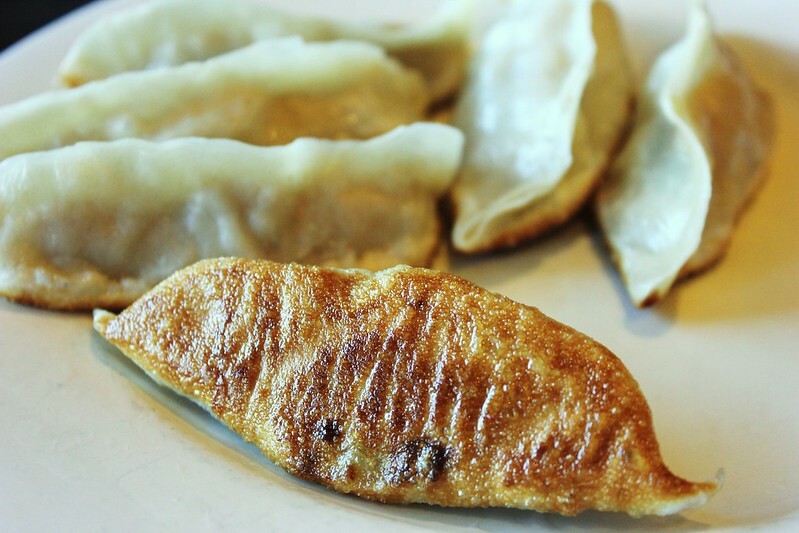 1900 Asian Cuisine also offers Shanghai-style pan fried buns. At the very least, these proved to be very interesting and we enjoyed them a little more than the XLB. 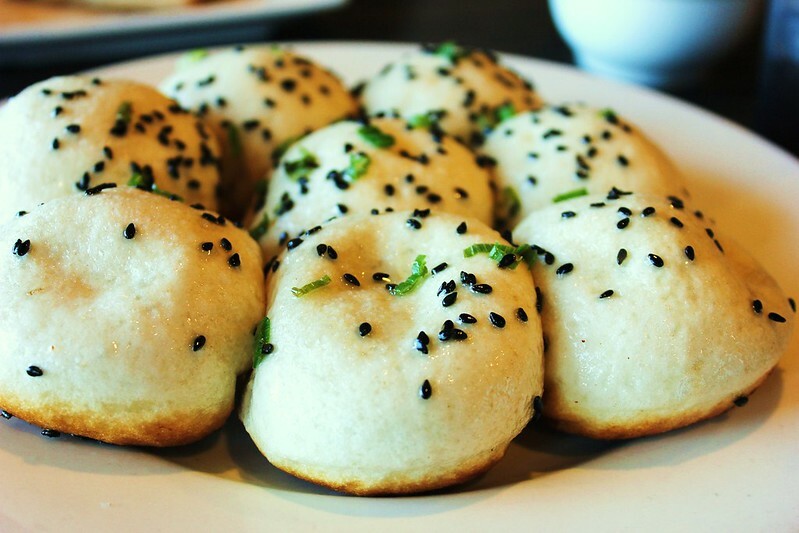 They were essentially XLB, but in buns, pan fried, and topped with sesame seeds and green onions. They were a little too greasy, but also slightly more flavorful than the XLB. I loved the idea, but the fact that the filling wasn't all that flavorful held them back some, just as with the XLB. My quest for great xiao long bao in Las Vegas will continue. And though 1900 Asian Cuisine was decent overall, I wouldn't say we experienced anything there that I would highly recommend. Perhaps if there was more flavor packed in the fried XLB, I would recommend a detour. While waiting for a table at Ramen Sora, I walked over to the nearby Ronald's Donuts, which Steve Z mentions earlier in this thread. There were a number of intriguing offerings, including an apple burrito of all things, but I ultimately settled upon the apple fritter. 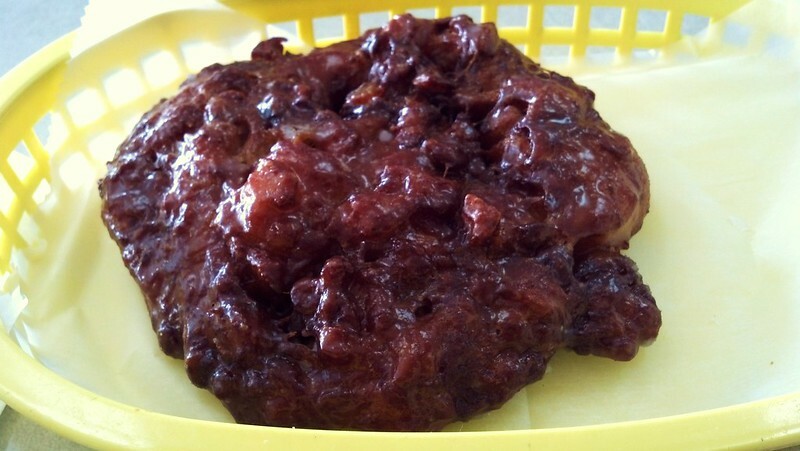 I don't know where this fits of the scale of great apple fritters, but I thought this was an excellent version - crisp, moist, not too sweet, and packed with apples. If you're curious about checking out Ronald's, it's on Spring Mountain Road, and very convenient to any of the many Asian restaurants in the area. As I noted in my prior post, we also enjoyed some very good food on the Strip. At Aria, Shawn McClain is behind five50 Pizza Bar located just off to the side of the casino and next to the sports book. The name five50 reflects the temperature at which the pizzas are baked. One nice thing about five50 is that you can order whole pies or slices, which came in handy for me after several cocktails and the need for a late-night bite. The pizza is somewhat similar to New York style in that slices are mostly foldable. But it was the delicious crust and well applied toppings that really impressed me. The guy at the counter was actually pretty knowledgeable (for a casino pizza spot) and told me they allow the dough to ferment for a couple of days. It really showed as the crust had nice flavor which was really improved by the bursts of charred flavor. I also really enjoyed my margherita slice which featured a delicious tomato sauce and just the perfect amounts of cheese and basil. I preferred five50 to the supposedly secret pizza place at Cosmopolitan. Before diving in to any of the composed desserts, I decided to start with a minimal investment, a plain croissant. That proved to be enough for me. It was a little flaky and layered, but not enough. And though there was plenty of butter flavor, it was also obvious that the exterior had been brushed very lightly with a fruit glaze that ruined the croissant for me. Egg wash glaze I expect, but a fruit glaze is a deal breaker for me. We also tried a couple of the buffets for breakfast/lunch. 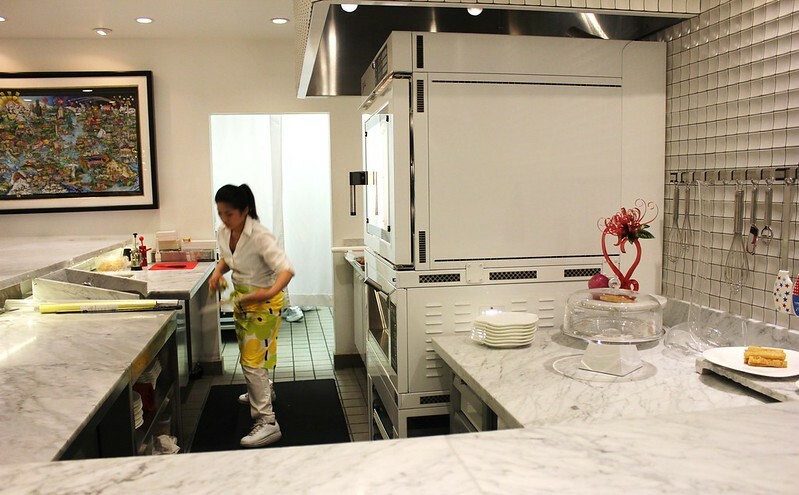 The first time I visited Wicked Spoon at the Cosmopolitan, I was very impressed. The second time I visited it was good, but not as good as when it had opened. This time it was somewhat shy of mediocre - lukewarm and overcooked food, smaller selection, chicken that seemed to have been fried in old oil and just nothing as good as it once had been. Dessert fared much better, particularly the Thai iced tea gelato, notwithstanding a few ice crystals. Much better was the Bacchanal buffet at Caesar's. The Bacchanal is the Vegas buffet of all Vegas buffets. A tram from one end to the other would help. Perhaps I'm exaggerating, but this buffet is easily twice the size of any other Vegas buffet I've encountered. And I'd say it's also very good as far as buffets go. No, not everything is good (mediocre crab legs, oversmoked ribs), but there was some very good fried chicken, a very good meatball, a station where you can try pho, ramen or udon (I didn't try) and just countless options. I realize buffets are polarizing and many won't get near them, but if you decide to venture near one, Bacchanal is the one I would recommend. I've always wanted to try the steaks at Carnevino and compare them to the best of what I've tried in Chicago. The room itself is perhaps best described as uninteresting. It looks like they were perhaps going for clubby steakhouse meets Italian countryside, but ultimately the feature that stuck out the most was the high ceiling. At the very least, it's conversation friendly, and the food made up for anything lacking in style. We started with a couple of very well made pastas. I couldn't find anyone to share the ribeye for two, and instead ended up with the New York strip. No disappointment here - a perfect medium rare, a little funk from dry aging and a faint aroma of rosemary. If you're searching for a great steak, suffice to say Carnevino offers better odds than most of Vegas. Even better than Carnevino was Bartolotta di Mare. The instant you enter Bartolotta, the gorgeous restaurant let's you know that you're in for a luxurious evening, even more luxurious if you accept the invitation to dine outside. As beautiful as the Bartolotta dining room was, the food was even better. Though the highlight of Bartolotta is the expertly sourced Italian seafood, the evening started with several outstanding housemade breads. My appetizer of spaghettini, baked in a pouch, with langoustine, shrimp, lobster, clams, mussels, scallops, squid and tomatoes, was fantastic. The spaghettini and seafood were beautifully cooked, and the langoustine in particular was delicious. Bartolotta offers a number of whole fish, all flown in from Italy, for main courses and a few of us shared the whole grilled snapper. The snapper was filleted tableside, and you can choose from a number of sauces to accompany the fish. The sauce of olive oil, garlic, parsley, fresh oregano and lemon was my favorite as it allowed the flavor of the snapper to come through loud and clear. As if the meal could not get better, I chose the gelato for dessert - 6 flavors for $14. The gelato was as good if not better than any I've ever tasted, dense yet incredibly creamy, and with very intense flavors. It was a magnificent finish to an outstanding meal. A nice touch was Paul Bartolotta stopping by our table to say hello. Finding Paul in house was not at all surprising after enjoying the meal - the whole evening reminded me of the very best days of Spiaggia. And one nice little tidbit from Chef Paul: he misses Chicago, wants to spend a little more time here, and said he plans on opening a restaurant in Chicago in the near future. I'll be excited to hear more. Deciding whether Bartolotta or Kabuto was my favorite meal of the trip is probably unnecessary. Both were phenomenal. 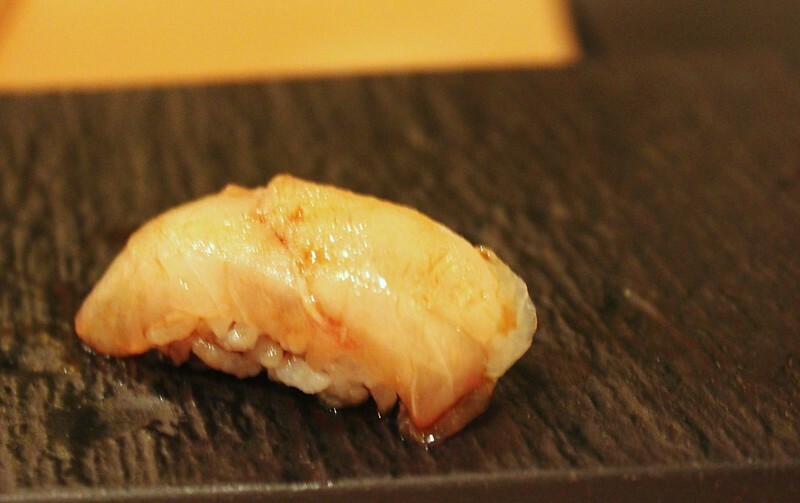 But I may have slightly preferred Kabuto, if only because finding world class nigiri in Chicago is flat out impossible. 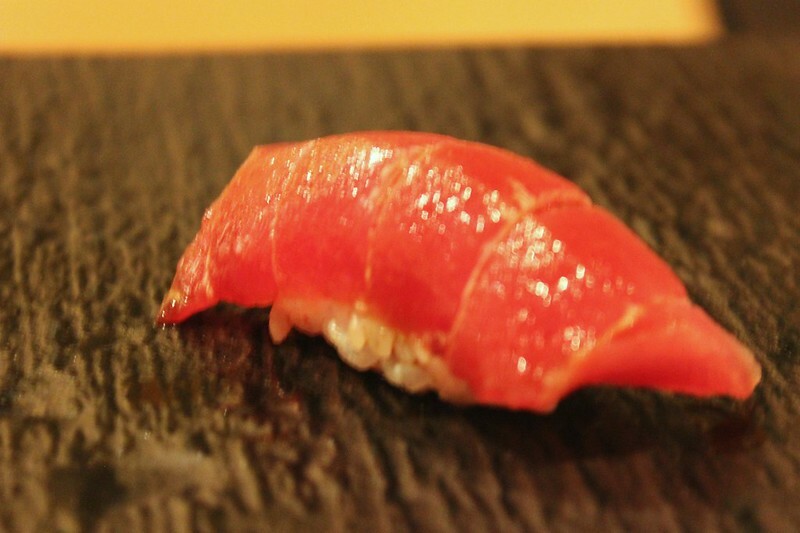 But Kabuto offers sushi of the kind I've rarely encountered, every bit as good than the Michelin one-starred dinner I recently enjoyed at Sushi Kanesaka in Tokyo, and considerably better than my even more recent dinner at Sushi Yasuda in New York. 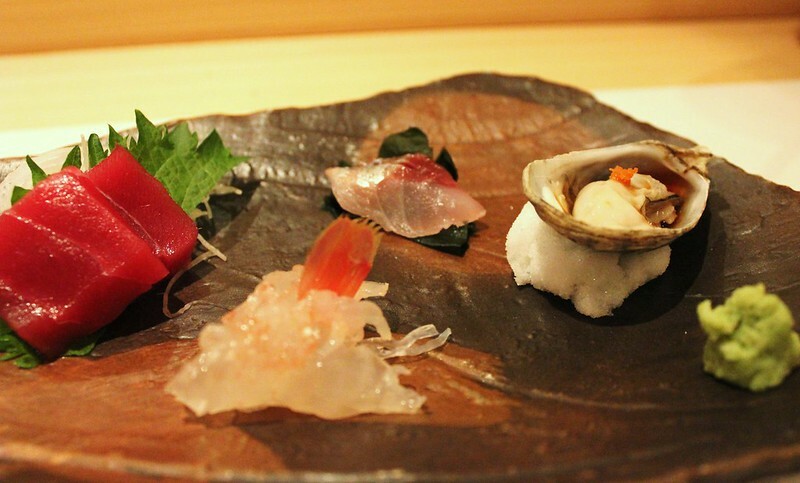 Kabuto offers three omakase menus, and we chose the middle option, yoroi, which includes a sake apertif, an appetizer, 4 types of sashimi, 3 grilled items, 8 pieces of nigiri, a hand roll, miso soup and dessert. 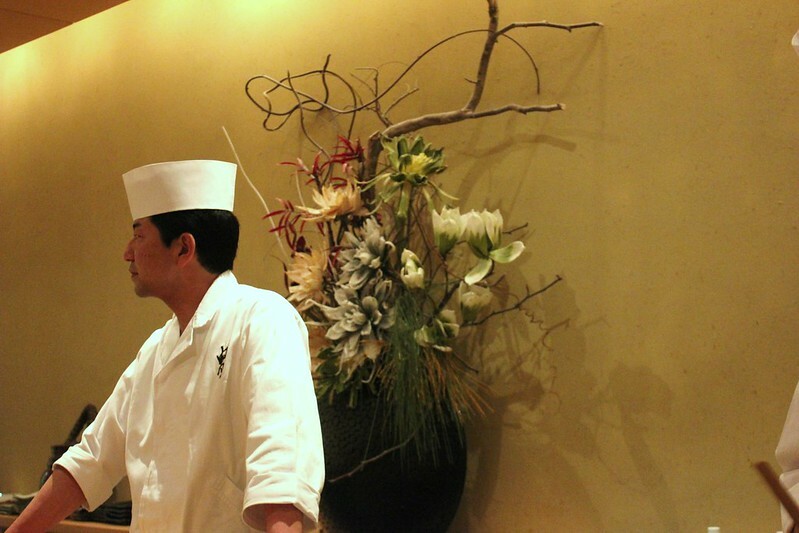 At the helm of Kabuto is Gen Mizoguchi, head sushi chef and owner. 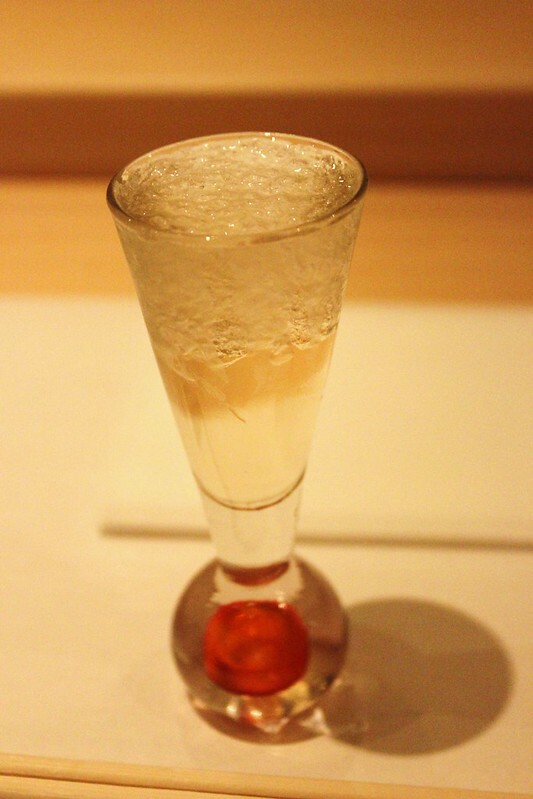 Dinner began with a refreshing aperitif of a very light and refreshing iced apple sake. The first course was an appetizer of firefly squid salad, very similar in preparation to what I had enjoyed a couple nights earlier at Raku. It was outstanding. We then moved on to our sashimi course. Every one of the seven pieces of sashimi was outstanding, though my favorite was the oyster from Seattle, as fantastic an oyster as I have ever tasted, and with every drop of the sea seemingly preserved. And yes, that is real wasabi you see pictured. Forgive me for diving in and having a piece of the jack mackerel before I could photograph it. The platter of grilled foods included grilled snapper, rare Kobe beef with daikon, and bonnet with sesame and crab which was eaten shell and all. All were terrific though the bonnet with crab was probably my favorite item. 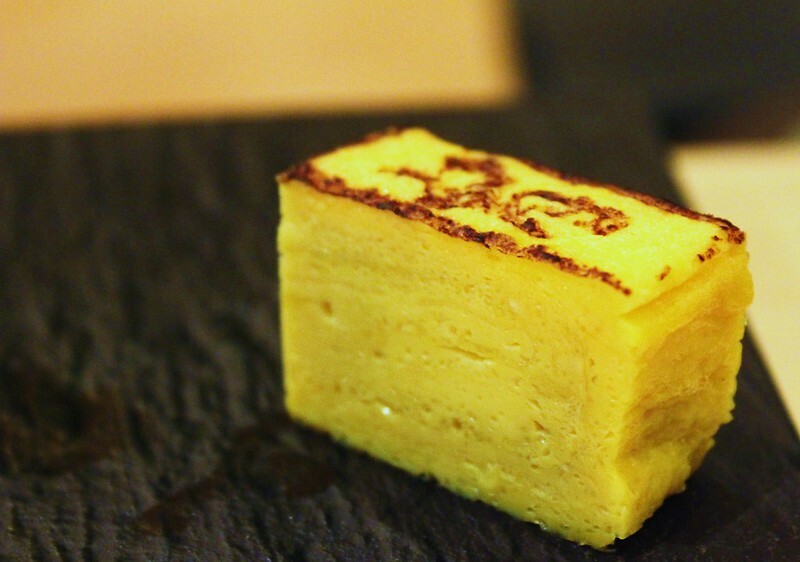 Please keep this tamago image in your head on your next sushi dinner in Chicago because you won't find anything close. We could have stopped here, but at the beginning of the evening, Kabuto presents you with a menu listing all their fish and their are some very intriguing possibilities. The most expensive was the Hokkaido uni at $9. I absolutely love uni and had to try it. I've had some fantastic uni, including the usually sublime uni from off the coast of Santa Barbara, but this uni was the best I've ever tasted. 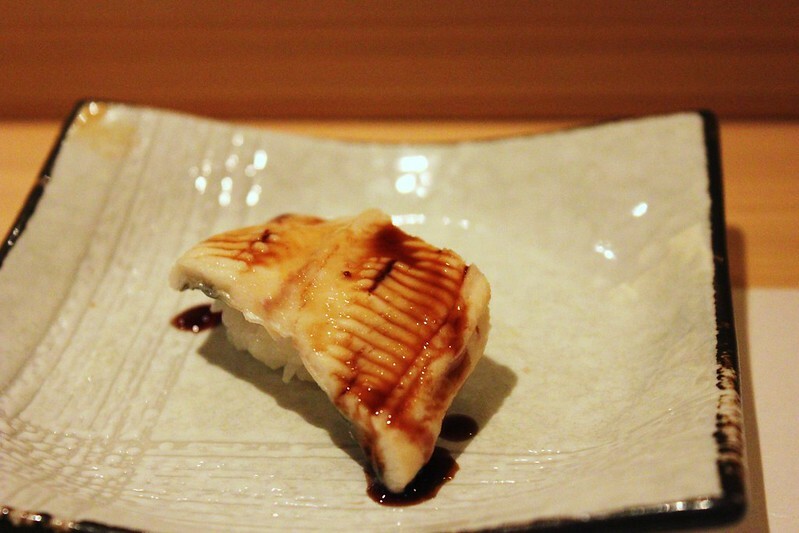 There was another fish on the menu I had never heard of: wakaremi (triangle). 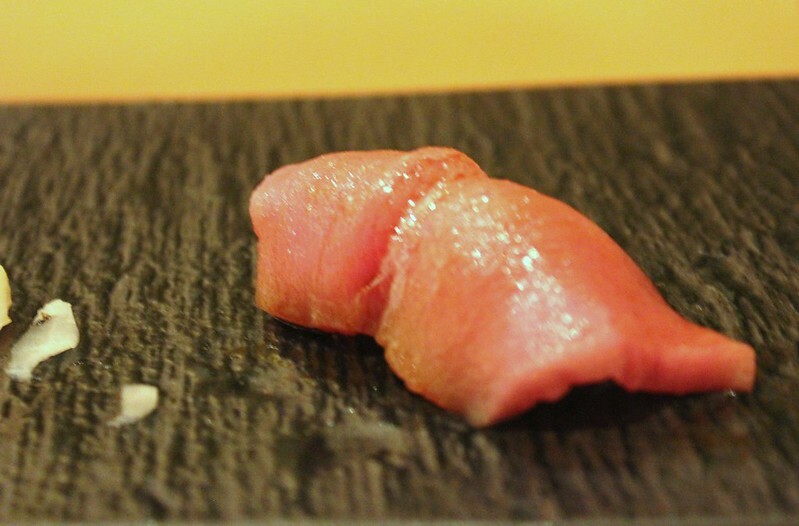 Chef Gen explained that this is the dorsal fin of the bluefin tuna (Spanish tuna in this case) and that only a few restaurants in the United States are able to source this cut. He explained that it's the most fatty and flavorful piece, and indeed it was fantastic. One last piece of nigiri I ordered a la carte was black scraper (umazurahagi), which Chef Gen highly recommended and explained is the non-poisonous sibling to blowfish. Finally, the tuna hand roll. Chef Gen explained that he spent considerable time testing Japanese nori to find one that was extremely brittle and very crunchy. 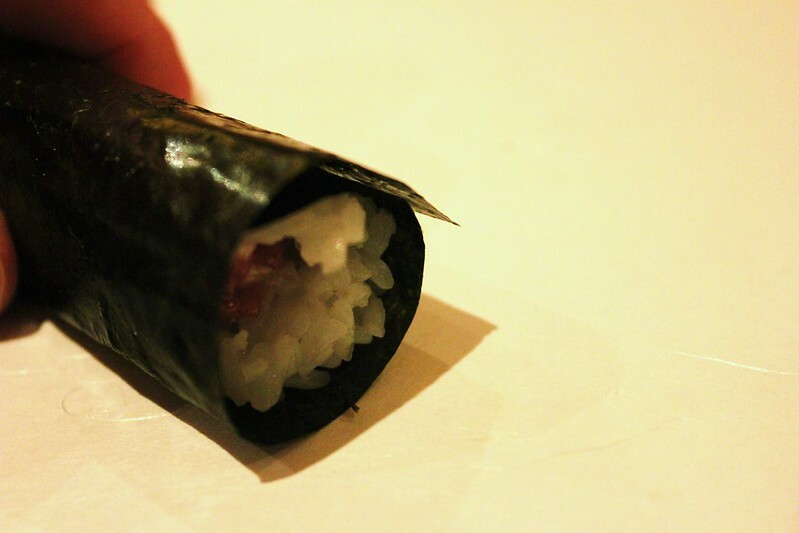 Though apparently more difficult to work with, the lack of such crunch signifies a lesser quality hand roll. Enlightening to say the least, certainly delicious in this case. 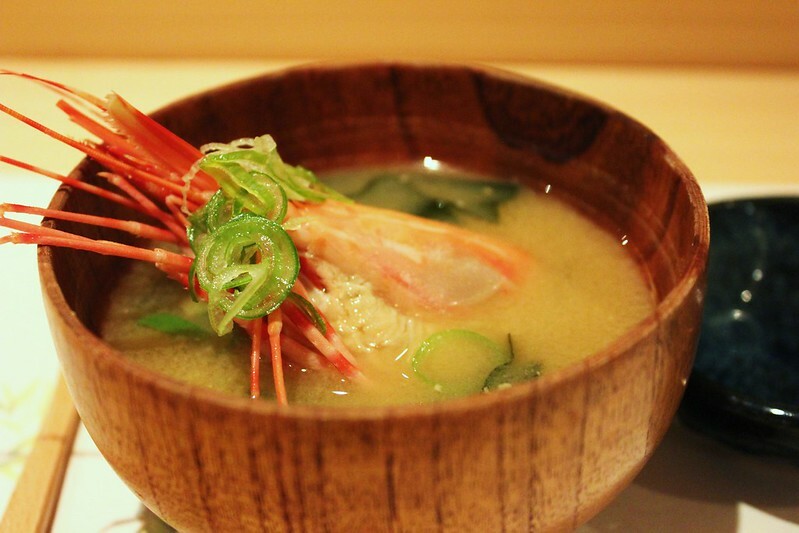 A wonderful shrimp head miso soup finished the savory part of the meal. Although the menu we chose costs $80 per person, this dinner came in just under $175 per person after adding a $60 bottle of sake, the three additional nigiri, and a generous tip. But you don't have to break the bank here. There's also a $48 omakase menu that gets you the sake aperitif sake, appetizer, 10 pieces of nigiri, a hand roll, miso soup and dessert. Service was graceful, polite and well timed throughout the meal. 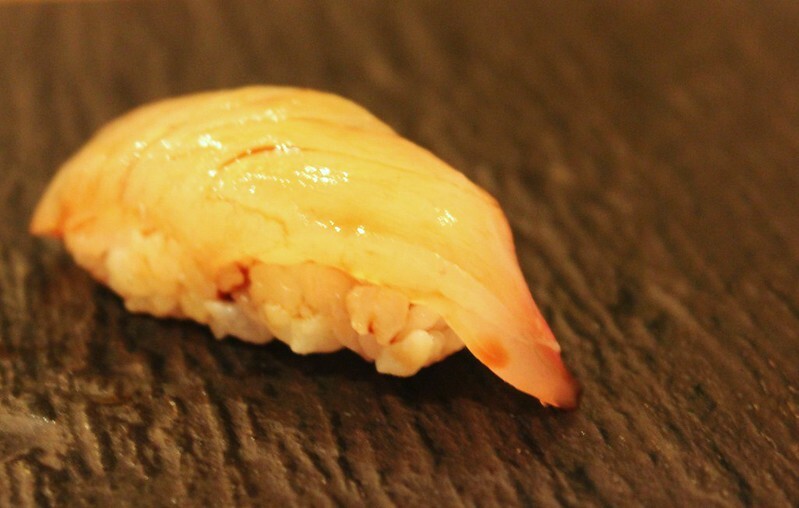 Unlike most sushi restaurants in Chicago, nigiri at Kabuto is served one piece at a time. But there's a lot more to the excellence at Kabuto. There's real wasabi, the nori I mentioned earlier, the expertly cut fish - not a stringy piece to be found. There's also the rice, sourced from Japan and by no means an afterthought, and the gari, the house pickled ginger, which in Chicago usually comes out of a jar. And then there are several different types of soy sauce, of various ages and qualities. 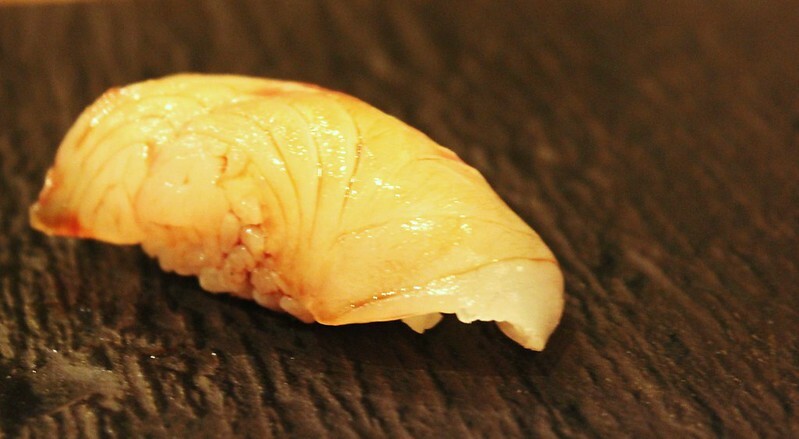 In fact, you are asked not to season any of the nigiri since the sushi chef has already seasoned each piece. So why in Chicago are we forced to season each piece? And even then, we are given two types of soy sauce, regular crap and low sodium crap. Could you imagine food at non-Japanese restaurants being brought out unseasoned, and the diner being told season it how you like with table salt and pepper? 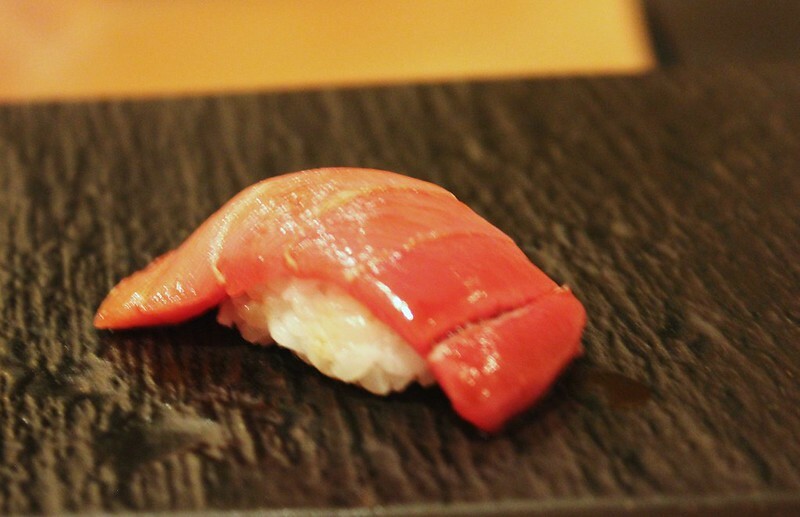 Yes, the state of sushi in Chicago is disgraceful (but we pay for it, so maybe we're to blame). 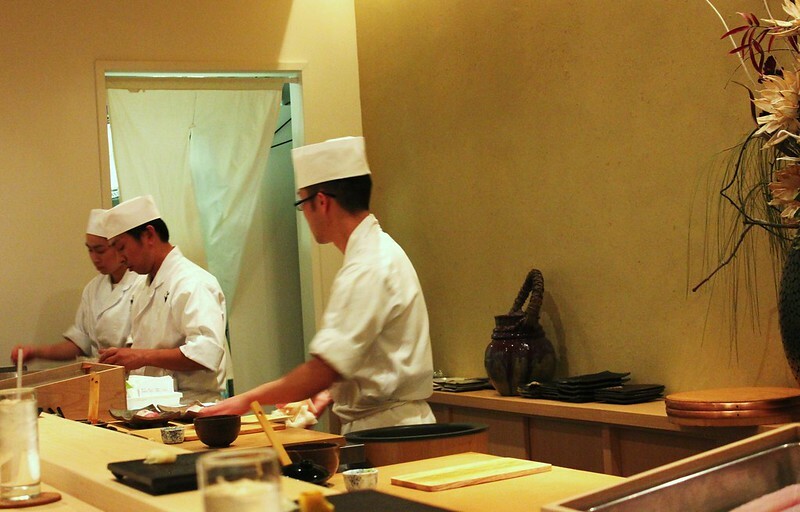 Kabuto is unlike anything we have in Chicago, and really just a spectacular restaurant operating at a very high level. It's almost enough to justify a visit to Las Vegas. So do not miss it if you go to Vegas, but book early as it's a very small restaurant and request the sushi counter. I booked a month out for a Saturday night and not every time was available. Really nice posts and photos BR, thanks for taking the time to share them. jimswside wrote: Really nice posts and photos BR, thanks for taking the time to share them. Thanks Jim - appreciate the compliment. So, I wondering, why is Vegas so exalted when it comes to Japanese food? Real, good Japanese food is often paired with the presence of big Japanese company operations, but I don't think Honda or the like is big in Vegas. Then, there might be the whale theory, but I think the whole long slide of Japan's world dominating economy has also put an end to the Japanese high roller. Immigration? Cannot be that many. Why? BR. Great posts! As you know, we just missed each other in Vegas by a day. Now that the GNR dinner is in the books, I'll be posting on my most recent trip soon. Although I did have a good amount of Asian food while I was there, it's by no means the only great chow to be had off the strip. Details to come. 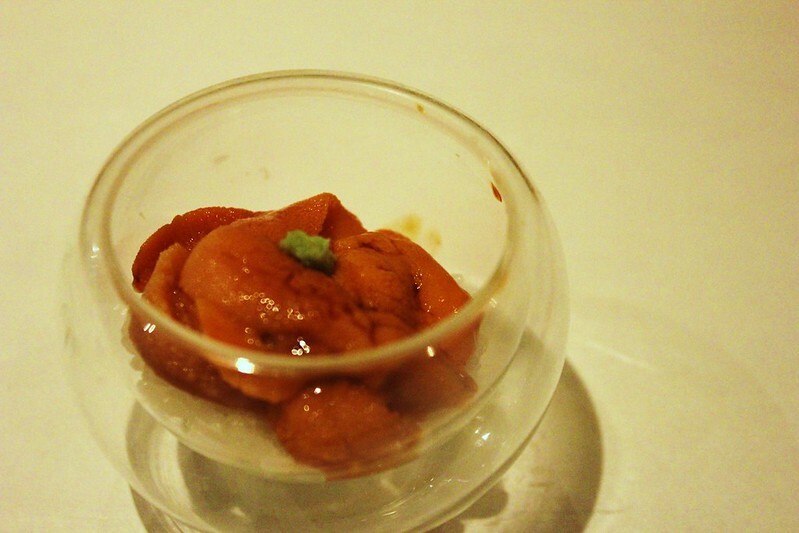 BR wrote: There were certainly positives at Raku Sweets, but I ultimately felt let down. No doubt expectations were certainly high given the Raku name. 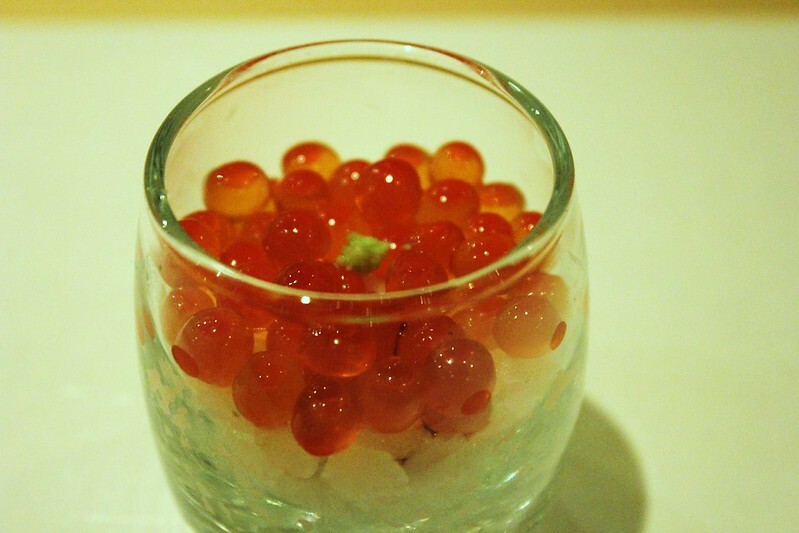 But given the minimal investment required for the 3-course dessert tasting menu, there would certainly be little risk in giving Raku Sweets a try. Avoid the same chocolate dessert I had and maybe you'll leave happier. that's too bad. I almost made it for this dessert tasting last time. It was one of the things I pined for the most, since it is obviously modeled after Chikalicious (also Japanese owned) in Manhattan. 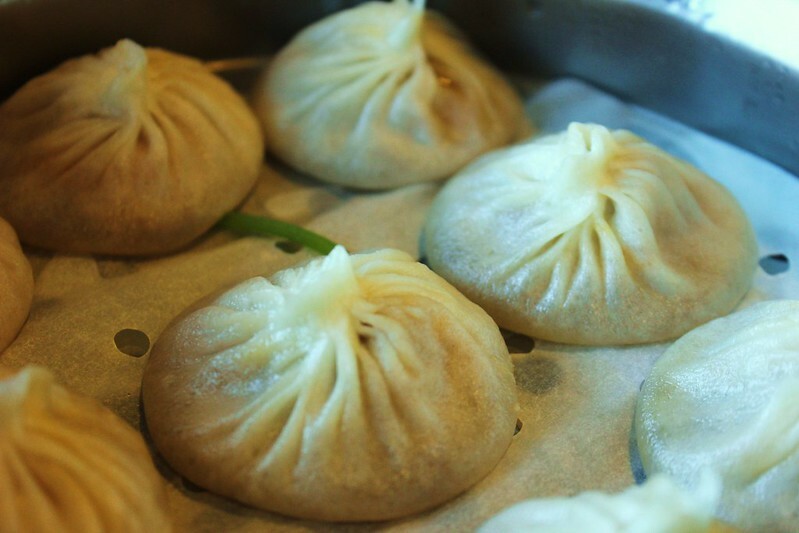 BR wrote: On my continuing quest to find great xiao long bao, I checked out 1900 Asian Cuisine. It's located in one of the countless strip malls on Spring Mountain Road. very odd looking XLB. It's as if they've lost their spine and turned into.. flattened mochis instead. I don't know what to think of these. Then again, after crushing through 30+ XLBs in a period of a few wks, I hope not to meet another one IRL until 2020. I need to do Kabuto, soon. Thanks for the round up. Vital Information wrote: So, I wondering, why is Vegas so exalted when it comes to Japanese food? Real, good Japanese food is often paired with the presence of big Japanese company operations, but I don't think Honda or the like is big in Vegas. Then, there might be the whale theory, but I think the whole long slide of Japan's world dominating economy has also put an end to the Japanese high roller. Immigration? Cannot be that many. Why? In my experience, the Japanese high roller is alive and well: many Asian men love to gamble and love to seek out good food. These posts by BR are my favorites of the year. Thanks! Thanks Tom - appreciate the compliment. The gambling aspect would be my best guess, but I really have no idea. very odd looking XLB. It's as if they've lost their spine and turned into.. flattened mochis instead. I don't know what to think of these. I don't know. I've looked at other pics of XLB I've had all around, including Nan Xiang in NYC, Din Tai Fung in SGV, etc . . . and I've found similarly flat ones. I will say that in my experience, the taller they are, the less soup I find inside. Perhaps more steam created by more heat and soup causes it to flatten some. I imagine that more soup causes the wall to spread and flatten. Well, at least that's my best guess. But the wrappers were thin, not too sticky and just right . . . if only the interiors packed the flavor I've experienced with the best XLB. On the recent Las Vegas edition of Parts Unknown (note: post edited to correct the title of his current show), I believe in reference to Raku but possibly Lotus of Siam (he went to both), Anthony Bourdain asked Jet Tila why there are such good Asian restaurants in Vegas. The response was that visiting high rollers gambling with million dollar credit lines still wanted a taste of home. I don't know if that qualifies as an indisputable reference source, but seemed to make sense. Regardless of the reason, we all now benefit. Panic set in last night as I heard that Kabuto had closed for a couple of weeks, and then reopened without its star sushi master, Gen Mizoguchi. It's now confirmed that Gen has indeed left Kabuto (where he was only a co-owner) to open his own place in Las Vegas. Here's an article from Las Vegas Weekly about the move. It's a short but fascinating read. I can't wait to try his new place. As for Kabuto, should you decided to visit, I would suggest doing so with tempered expectations. I’ve been remiss in not posting about my most recent visit to Vegas. As always, there was some great food to be found off the strip. Most of the conversation in this thread over the past couple of years has concerned Asian food; Japanese in particular. While Vegas is a great place for that, there are many other things to eat while there as well. This time, I ate my fair share of Japanese stuff, including a return visit to Monta for a bowl of ramen, but I hope to highlight some other, less discussed types of food worth checking out if you visit Vegas. Having said that, the first place I want to talk about is an Izakaya. I was in Vegas on business, and my first meal was with some colleagues from LA and New Hampshire. The person from LA suggested meeting at an Izakaya, so naturally I was up for that! 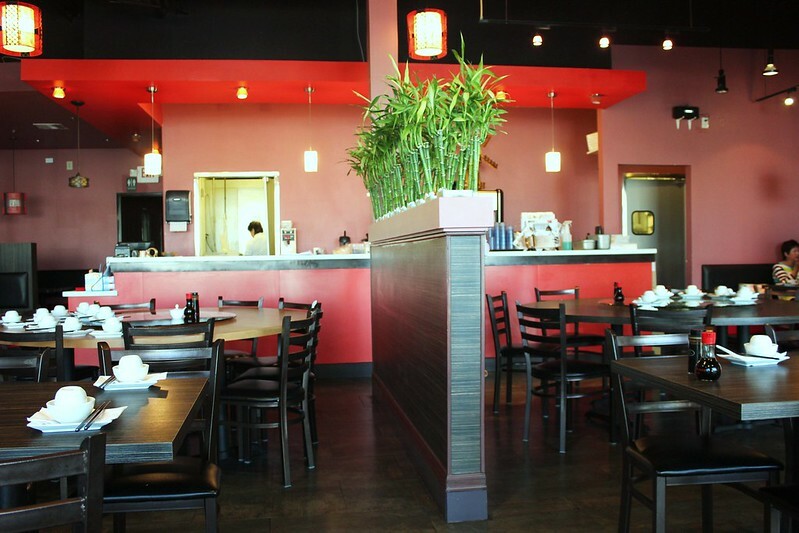 He suggested meeting at Ichiza, which is on the second floor of a strip mall on Spring Valley Road, in the midst of Chinatown. This is a bustling place with a cross section of Japanese businessmen and hipsters. Although there is a menu, the bulk of the items on offer were listed on sheets of paper hand written and taped to the wall. There were so many of these “specials” that the entire place was papered with them. Because it was a business meeting, I didn’t bring my camera, but I did manage to snap one picture with my phone. The food was pretty good. We ordered a variety of stuff ranging from a nice hamachi collar to takoyaki to lots of skewers. 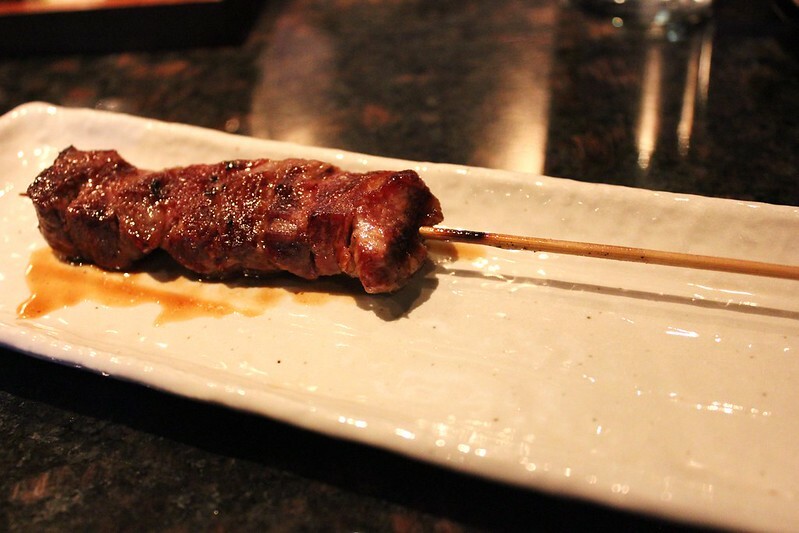 I know there are better izakayas in Vegas, but this one was lively and nothing to shake a stick at. Hawaiian food is not easy to find off-island. We’ve got Aloha Grill, of course, but I’m always looking out for a taste of our 50th state. Braddah’s turned out to be the Hawaiian Chipotle. OK, that’s not quite accurate because Braddah’s makes everything in house using high quality ingredients. Back in April, there was only one location, but the manager indicated that the plan is to expand regionally and eventually beyond. When I checked their website before making this post, I found that there is already another location up and running with a third having been announced. Like Chipotle, you step up to the counter and order you choice of a burrito, a bowl, a salad or tacos with several different meats and veggies to choose from. You then choose some toppings, and Bob’s yer Uncle (or Braddah, as the case may be). I opted for a Kalua Pig Bowl and loaded the thing up with veggies. This wasn’t earth shattering food, but it was fresh and tasty and a great choice when you are looking for something that’s high quality and quick. Braddah’s makes their own hot sauce (five different varieties), which I really enjoyed. Though they were a little on the sweet side, they packed some decent heat, especially the raspberry jalapeño and the guava habanero. All in all, I’m glad I found Braddah’s and will keep it in my back pocket as a good alternative while out running around in Vegas. I stayed at the New York New York this time around and, coming back from a late night meeting, I was feeling a bit peckish. To get to my room, I had to walk right past Chin Chin, which was open late. I scanned the menu and settled on some pork dumplings and won ton soup as a bedtime snack. Chin Chin falls victim to “hotel syndrome”, serving food that looks like it is supposed to (more or less) but fails to deliver in the flavor/authenticity department in an attempt to please the masses that would be just as happy eating a McDonald’s. At least the waitresses were attractive and scantily clad. The dumplings came smothered in what was described as a cilantro sauce and were not very good. I ate one and left the rest. The won ton soup suffered a similar fate, tasting more like warm water slightly flavored with spinach than any won ton soup I’d had before. The won tons were stuffed with bland tasting chicken breast. In fairness to Vegas hotel dining, I’ve had much better food at any number of Asian inspired hotel restaurants in Vegas. Scroll up earlier in this thread to see some of them. Having suffered through a disappointing meal at Chin Chin the night before, I was bound and determined to make up for it with a visit to one of my favorite restaurants in Vegas, Orchid’s Garden, for dim sum. I’ve posted about Orchid’s Garden several times before and I’m really surprised that no LTHers have followed my footsteps there (or at least posted about it). Your loss, I suppose. Orchid’s Garden serves some of the better cart service dim sum I’ve sampled. All of this set me back a grand total of $25, so besides the quality being very high, the price is right. Next time you’re in Vegas, get over there. Cajun food in Vegas? Sure, why not. Located hard by the Union Pacific tracks in an historic Holsum Bread bakery building (with an impressive still working neon sign), Lola’s is a little hard to find, but worth seeking out. Chef Beth Pokorny is serving a full menu of Cajun classics from Poboys to Pecan Crusted Trout and everything in between. The food is fresh and tastes just like it came from The Big Easy. I was there at lunch time and ordered a bowl of gumbo and an oyster poboy. Both were excellent. The gumbo was chock full of shrimp, sausage and chicken and packed a decent punch of heat, though a splash of Crystal Hot Sauce brightened it up nicely. The poboy was equally good, with perfectly fried oysters and pretty decent bread. I’d order both of those dishes again, but there are so many other items on the menu that were worth checking out, it might take me awhile to get back to another poboy (gumbo will be a regular order, though). The rest of my meals were business dinners not worth talking about, but I did manage to have my traditional Hash House breakfast on my way out of town. Hash House (again, not Hash House a Go Go) is a gem and worth the short drive off the strip for breakfast. Everything from the bread to the sausages to the jelly is made in house and it shows. Here is my breakfast of two over easy, grits and sausage. The giant, made in house sausage patty was juicy and nicely spiced. I wish we could get breakfast sausage like that around here. Honestly, if you haven’t been to Hash House, you’re missing one of the better breakfasts anywhere. stevez wrote: I’ve been remiss in not posting about my most recent visit to Vegas. As always, there was some great food to be found off the strip. Most of the conversation in this thread over the past couple of years has concerned Asian food; Japanese in particular. While Vegas is a great place for that, there are many other things to eat while there as well. This time, I ate my fair share of Japanese stuff, including a return visit to Monta for a bowl of ramen, but I hope to highlight some other, less discussed types of food worth checking out if you visit Vegas. I've had a few tussles with people over whether someone should go to Raku or Ichiza, but I don't really think they're the same kinda place although both have been described as izakaya. Ichiza is surely way more casual and without a lot of the "air" (for lack of other words) that Raku has. 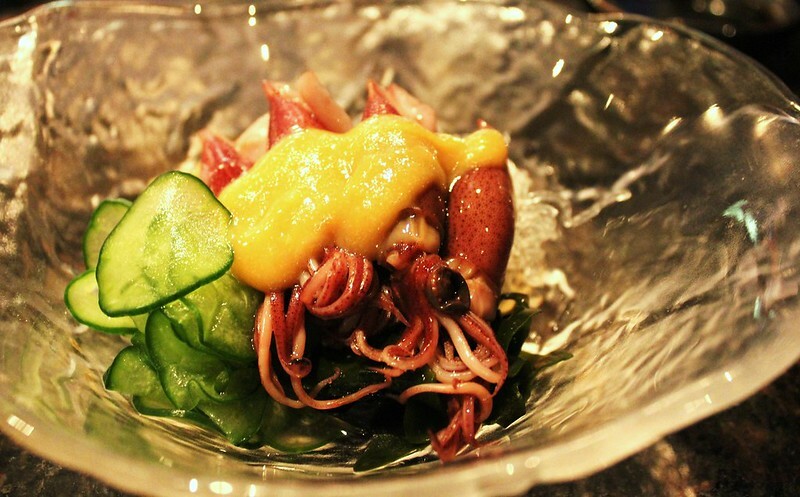 So discounting Raku, what's the better izakaya? 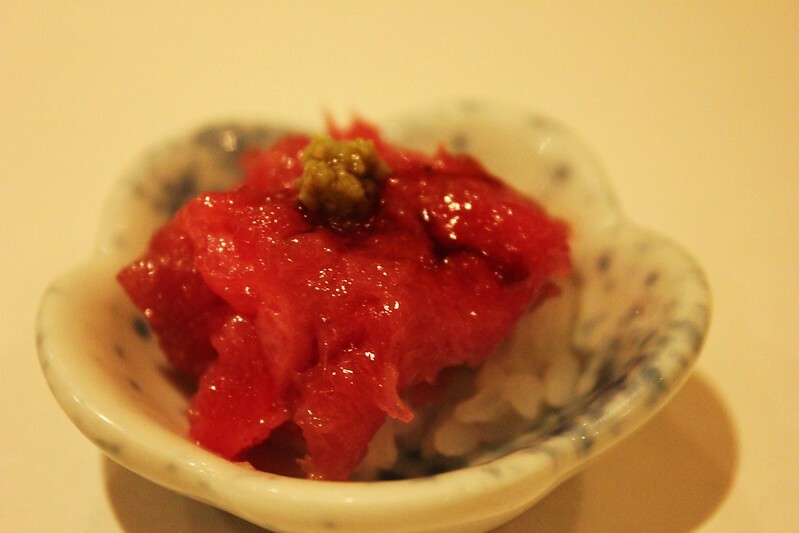 I really love Ichiza, for the variety, the quality of its fare and it being so totally unlike anything in Chicago. In my mind, I was thinking of Raku. You can discount it if you want to, but the food is arguably better, though Ichiza is certainly no slouch. I really want to go back there and go deeper into their offerings than I was able to with my business acquaintances. Don't get me wrong, I really liked Ichiza and will be returning.